Professional Performer, Producer, Instructor and Choreographer in Middle Eastern Arts and Performance Arts in various Dance realms. Entertaining as a regular day and evening performer at the Sultans Tent and Cafe Morocc, and the Berber Lounge Social in Toronto, Ontario, and has Entertained for numerous Events in venues all across Canada, USA and Europe. Dances with swords, veils, fans, wings shamadan, fire and snakes. 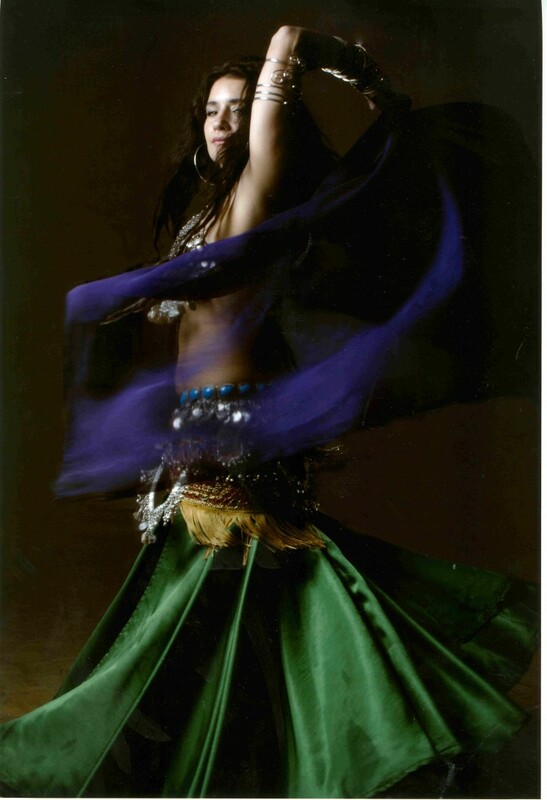 Instructs Middle Eastern Arts regularly at the University of Toronto, including, Privates, Corporate classes, Workshops and has organized dance Troupes all across Ontario. Joanne entertained at my mother's 80th birthday. She was so charming and put on a great show, my mother was pleased beyond belief and Joanne really made it a memorable birthday. Thank you so very much for your kind words and beautiful message Daniel! It was such a pleasure and honor to perform for your mother's 80th Birthday. She was so inspiring, an afternoon I'll always remember. our family and friends thought you were great very entertaining great job Joanne would for sure recommend you to anyone. Fun filled, professional, artistic and dynamic performance is what you can expect from my performance. Performances can be personalized to fit your event or special occasion, from costume and colour options to props and music choices. The performance can be a complete surprise for your guests or added to your list of entertainers. On the spot I am open to suggestions and tweaking my performance for that perfect fit, an Arabic drummer can accompany my performance upon request, and to add to the experience coin hip scarves can be offered to your guests with audience participation or not. From banquet halls, outside festivals, and private intimate occasions you can trust that by inviting me to entertain and engage with your guests that it will truly be a special addition to your event! Artistic Director/Performer / Instructor/Choreographer/Producer - in Middle Eastern Arts and Performance Arts in various Dance realms. Joanne Lorddess Camilleri's passion for dance has been a lifelong physical and internal journey. Her extensive dance training started at the age of five in ballet, jazz and various modern dance techniques. In her earlier years she left Canada to explore the vast cultures of the Middle East ( Saudi Arabia, Iraq, Jeddah, North West Africa and Egypt) where she had the opportunity to witness, firsthand the haunting spiritual depth, historical mysteries, and vast unexplored potential of the art of "Raks Sharqi' (dance of the stomach). In the early 90's she continued her studies in India, Pakistan exploring the subtle nuances of Kathak and Bharatanatyam with renowned teachers Naheed Sadeeki, Partab Parawa, Sheema Karmani, to name a few, while widening her scope and understanding of the delicate intricacies of modern and tribal fusion belly dance with world renowned teachers Jillina, Suhaila Salimpour, Rachel Brice, Ansuya, Buzanka in San Francisco California, Magdy El Leisy, Germany, Badia Star, Arabesque dance company Toronto to only name a few and widened her musicality abilities with well renowned teacher George Dimitri Sawa, from Eqypt, and has contributed to his book of Music Performance Practice in the early Abbasid Era 132-320 AH / 750-932 AD Second Edition. Today Joanne is a Toronto based Performer, Producer, Instructor and Choreographer in Middle Eastern Arts and Performance Arts in various Dance realms. In 2006 Joanne founded her dance school "Vivace studios" in Toronto. She is in her 9th year Directing Staging and Choreographing her Theater Production of INANNA. Since the year 2000 she has been managing entertainment and entertaining as a regular day and evening performer at the Sultans Tent and Cafe Morocc, and at the Berber Lounge in Toronto and other venues across Canada, US and Malta and Italy in Europe. With Highlights that include: Fall View Casino, Niagara Falls, Maltese International Day San Francisco, Women's Health Matters Expo, and for Corporate Events like Toyota, Sun Media, Ministry of Gov. Services, Weston Hotel in Malta Europe, Doctors without borders , numerous Fashion Shows and more...Joanne has been cast in film and performed in many television shows including: A perfect Christmas, The Listener, Alliance Atlantis History Launch, Much Music, Breakfast TV, and Famous Peoples Players. She has made appearances' in Reality TV shows like Rich Bride, Poor Bride, I Do , Let's eat, So Chic, City TV, Dinner at the Sultan's Tent-The Makeover. Joanne has performed in Live Theatre at The Living Arts Centre, The Rose Theatre and Canadian Stage. In 2015 Joanne started another one of her passions Circus Arts adding to her repertoire as Middle Eastern performer. Joanne has produced an instructional DVD on the Art of Belly Dance and instructs Middle Eastern arts regularly including, privates, classes, workshops and has organized dance troupes all across Ontario and continues to create solo performances and original Middle Eastern inspired fusion dance pieces with her select troupe of dedicated students and Canadian composer Chris Hall. Access to a proper sound system.